And only eyes for me! If this seems to be you! May be a bishop would fit the bill better?! 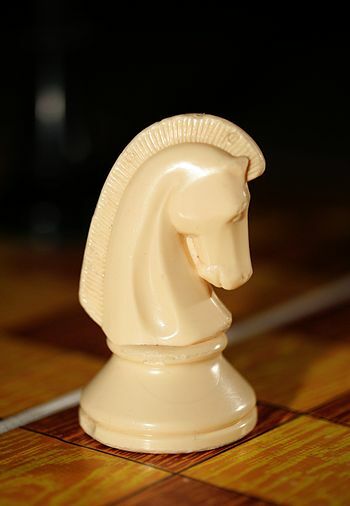 A knight can exert influence over different quarters while the bishop is committed to move only in straight lines – his only choice is which way!